Almost one in ten of the residential mortgages on the books of Ulster Bank are not being paid at present. The news emerged today as parent Royal Bank of Scotland announced that the bank had narrowed its operating loss to €382 million. In a statement, RBS said £1.9 billion, or 9.4%, of its Irish unit’s residential mortgage book was “on a forbearance arrangement” at the end of March. This has increased from 9.1% at the end of last year. Despite this, 75% of the loans in forbearance are classified as “performing” and not 90 days past due. 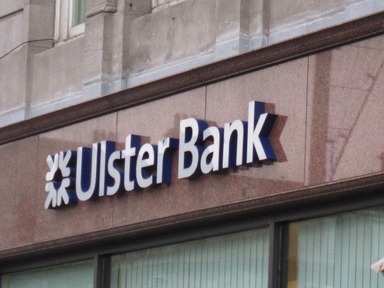 It was also revealed that Ulster Bank repossessed 46 residential properties in the first quarter, compared with 37 for the year-earlier period. Half the repossessions in the first three months were through voluntary surrender or the abandonment of the property, the bank said.